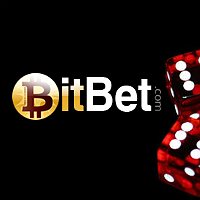 BitBet is one of the fast-rising Bitcoin casinos. It attracts more and more players on their gaming platform due to their unmatched features and offers. In addition, they provide an array of top-grade casino games and one of them is Bitcoin roulette. Though simple and classic, this wheel of fortune never fails to provide an exciting and rewarding gaming action with its awesome perks and features. With BitBet’s ‘Auto-Register’ feature, players can get started promptly. All they have to do is to click the auto register button and provide a password. In a few seconds, an instant account will be created with their username. In addition, they will be required to provide a personal wallet address, where their future winnings will be sent to. On the other hand, players are asked to choose a security question to increase the account’s safety and protection. BitBet provides three virtual casino platforms (Fortuna Casino, Casa Blanca Casino, Circus Circus) and two live casino platforms (Oasis Real, Sands of the Caribbean). All of these gaming lobbies offer various roulette games with distinctive features to match the players’ varying tastes. The types of roulette offers are American Roulette, European Roulette, French Roulette, and others. Players will never be disappointed when it comes to this aspect whatever virtual platform they choose. All of the Bitcoin roulettes are played in a topnotch gaming interface festooned with crisp graphics and high definition effects. Of course, players are guaranteed that everything is easy to use and straightforward. In fact, even new users can spin and win without any hassles. Oasis Real and Sands of the Caribbean are the two live casinos at BitBet. Whatever the players choose, they can be assured of a quality gaming experience. They will definitely enjoy the perks of playing in an actual table with live dealers without leaving the comfort of their home. What’s even better is that high quality videos are offered along with manageable interface, allowing the players to enjoy fast-paced gaming. BitBet provides in-a-flash payment transactions. Players can deposit and enjoy their bitcoins after the network confirmation is received, which only takes a few minutes. On the other hand, provided that the requirements are met and settled, withdrawals are processed to be sent immediately. When playing roulette with bitcoins, BitBet is one of the finest destinations. They got everything the players want on their platform and of course, more surprises will be revealed. Spin with excitement and win big in no time. Take a step forward in this site and give their roulette games some lucky spin to boost the action and earnings. Play Bitcoin roulette now. For more information about this Bitcoin casino, read here.